Most natural health products/supplements have a cumulative effect and therefore it is unrealistic to expect immediate results. Please allow sufficient time for the product to achieve the desired effect. We order products fresh from the manufacturer weekly or bi-monthly. Because we believe fresh products work best, our product return period is not as long as many vitamin companies. After all, who wants to receive a product that has been in another person’s possession for 60 or 90+ days or even a year! Most of our products have expiration dates that are less than 1-2 years. This is because the product contains no chemical preservatives and should be used as soon as possible after purchase. If you have questions about a product that you recently purchased, we invite you to use our CONTACT US form or call us at 832.295.0560. The OAW company policy is simple: If you are not 100% satisfied with an Oasis Advanced Wellness, Oasis Serene Botanicals or Drucker Labs brand product, we will give you a full refund – opened or unopened. We happily take back all other unopened items (safety wrap intact) within 30 days of purchase for a full refund minus any shipping fees. When do products need to be returned by? OAWHealth is happy to provide a no-questions asked 30 day from purchase date Refund Policy. 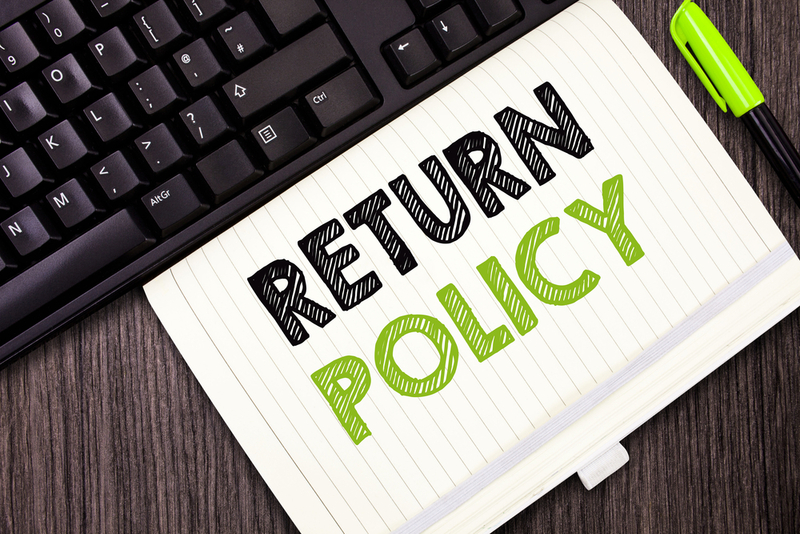 All returned products must reach the OAW office before the expiration of the OAWHealth 30 day (from purchase date) Refund Policy. What is the Shipping Return Address? Return Authorization Number – Please email us from the Contact Us page in order to receive a RA Number to place on your return label. Since we must have a record of your request, RA numbers are not given out over the phone. Please allow up to 24 hours to receive your RA# by email. OAW does not accept returns that do not have a current and complete OAW RA# displayed boldly on the label. This includes packages that have been “refused” by the customer. Packages that have expired RA#’s will be refused and sent back to the customer. Return all remaining or unused portions of the product including any unopened bottles that you may have purchased. Include a copy of the original invoice (proof of purchase) mailed to your email address at the time of purchase or a copy of the OAW Packing Slip included in your shipment. We are unable to process a refund without a copy of the original invoice (proof of purchase) or a copy of the OAW Packing Slip. Product returns must be received in the OAW offices during OAW normal business hours within 30 days (before or on) from purchase date. We are not responsible for returns that are incorrectly addressed, do not reach our office because of Post Office or carrier delivery error, delayed because of a holiday or returns that do not reach our office within the 30 day limit. We highly suggest that returned products be sent with delivery confirmation. Please do not use UPS for return packages. Refunds are processed within 5 business days (excluding holidays). For returns of 3 or more of the same product a 20% restocking fee will apply. Shipments not accepted by the customer and marked RETURN TO SENDER or REFUSED and do not include an OAW RA# displayed boldly on the outside of the package are discarded. Please use the United States Postal Service (USPS) with delivery confirmation for all returns. How long does it take to refund my credit card for my return? Refunds for the purchase prices (less shipping) are processed within 5 business days of receipt of the returned product (not including holidays & weekends). Please allow your credit card company 3-10 business days to post the credit to your statement. Please pack return products securely. We are not responsible for product returns that arrive damaged because of inadequate packing. Product(s) returned without a valid & complete Return Authorization (RA) number written clearly on the outside of the box. Product(s) returned after 30 days from original shipping date. Product(s) returned without a copy of the original invoice (proof of purchase) or packing slip. Packages not accepted by the customer marked RETURN TO SENDER/REFUSED and do not have an RA number displayed boldly on the outside of the package.